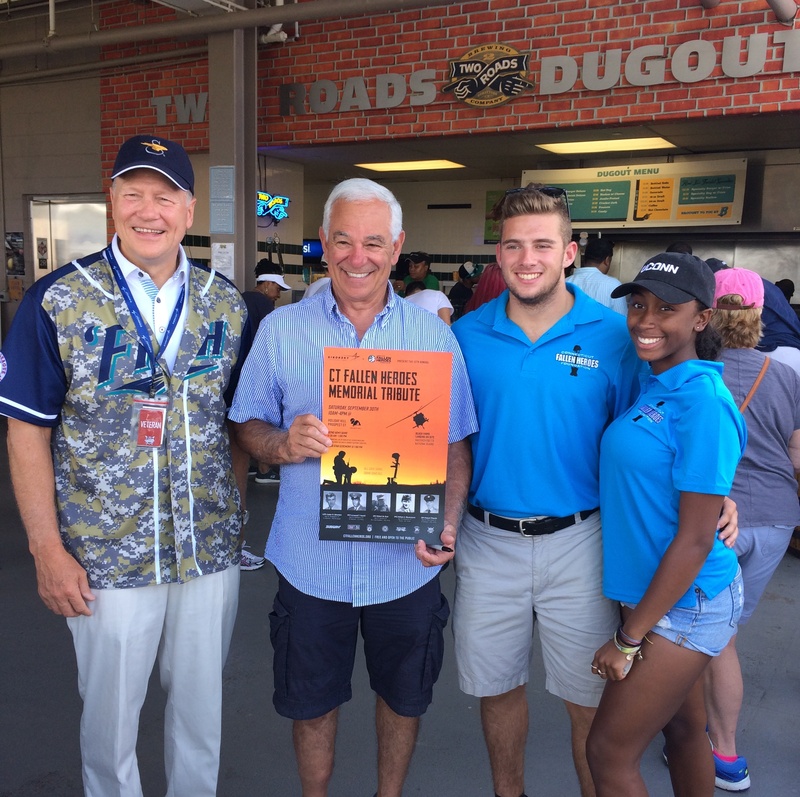 Driscoll Cares volunteers were on hand to support the 5th Annual Homerun for Heroes Sikorsky Veterans Appreciation Day at the Bridgeport Bluefish Baseball Game on Saturday August 29, 2017. Driscoll Cares volunteers raised $665 selling t-shirts, promoted the Connecticut Fallen Heroes annual Memorial Tribute and delivered the Connecticut State Flag to the Military Color Guard for presentation. 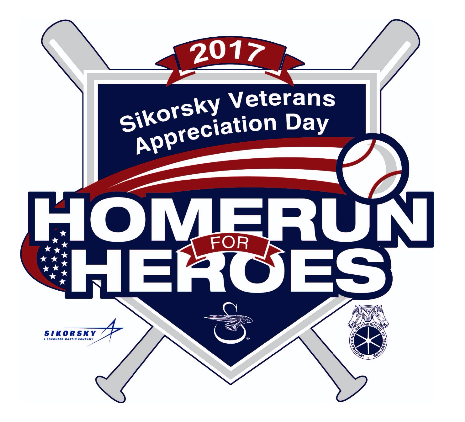 The event is sponsored by Sikorsky, United Technologies, and Teamsters Local 1150. Proceeds from the event benefited Veterans’ organizations in Connecticut, including Columbus Houses Homefront Initiative for Homeless Veterans. 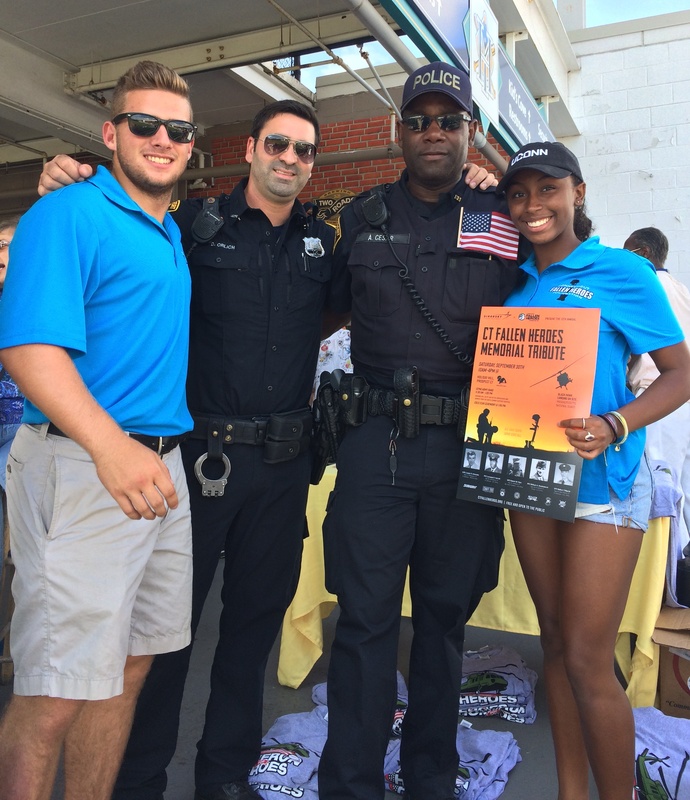 Driscoll Cares President Logan Driscoll and Driscoll Cares volunteer Solace Porter with two of the Bridgeport Police Departments finest.